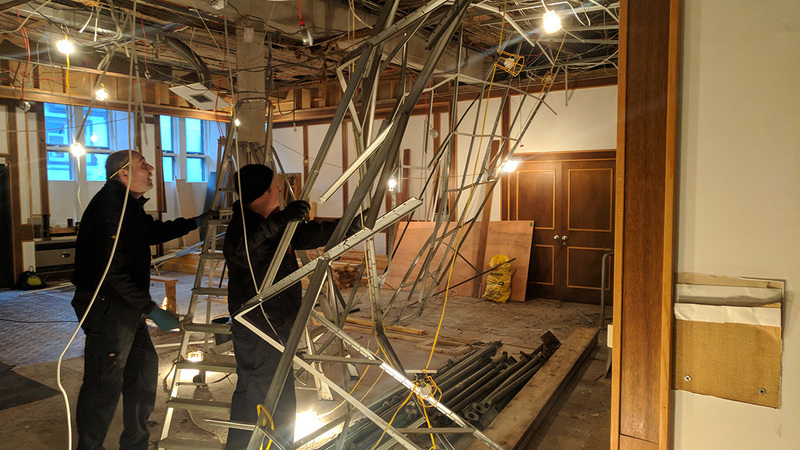 Our building team started work straight after the Christmas break and within hours Big Al and Stevie were uncovering some long-hidden gems. 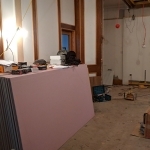 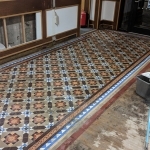 Our first surprise was after the removal of the 1980’s cashier desk we spotted a small section of original tiled floor. 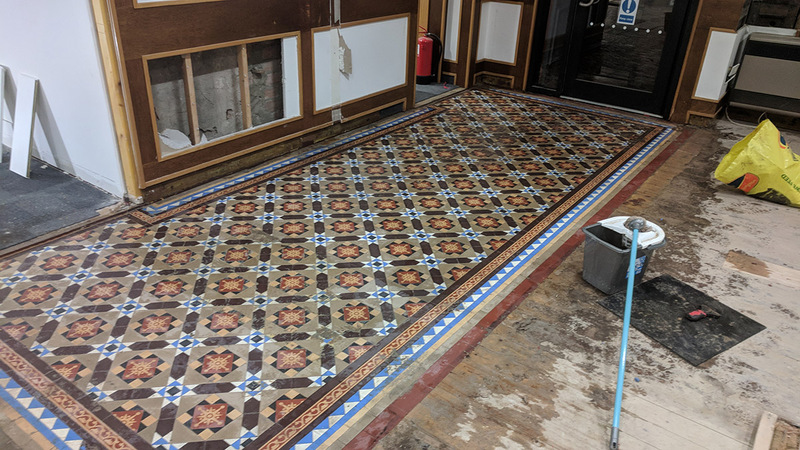 After a bit of gentle crowbarring of chipboard, we uncovered the whole original tiled floor that runs from the door for about 4m into the bank. 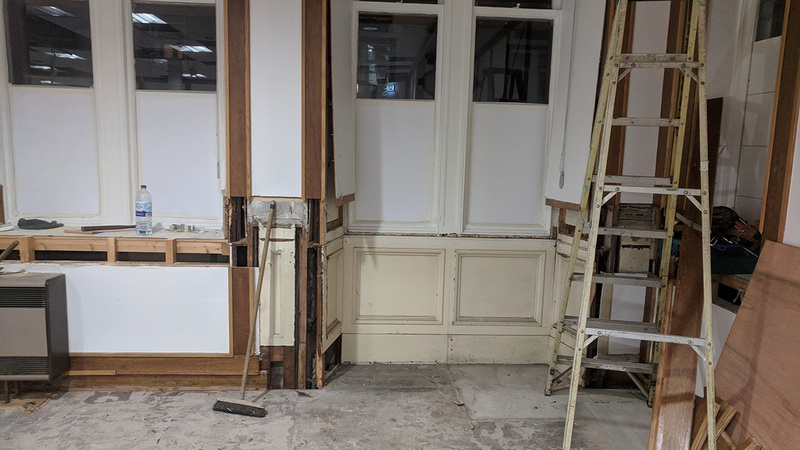 To add to the archaeological feel, we then slowly revealed the original floorboards that were still running the entire length of the original bank space. 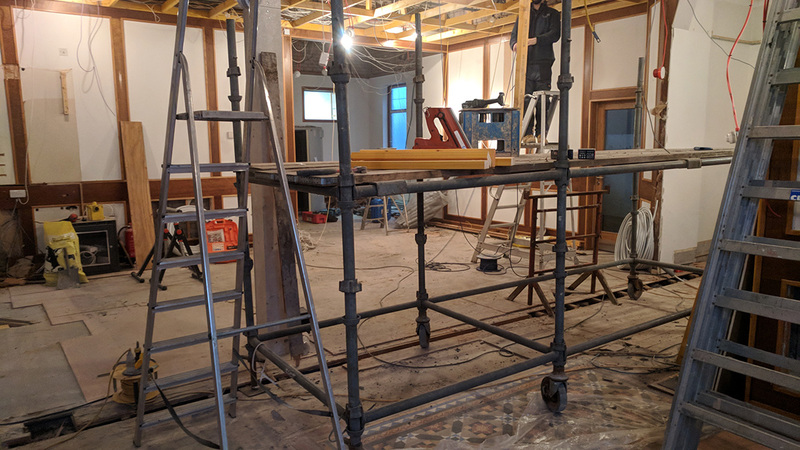 These will both be lovingly restored, sanded and stained so our guests will get to quite literally take a step back in time. 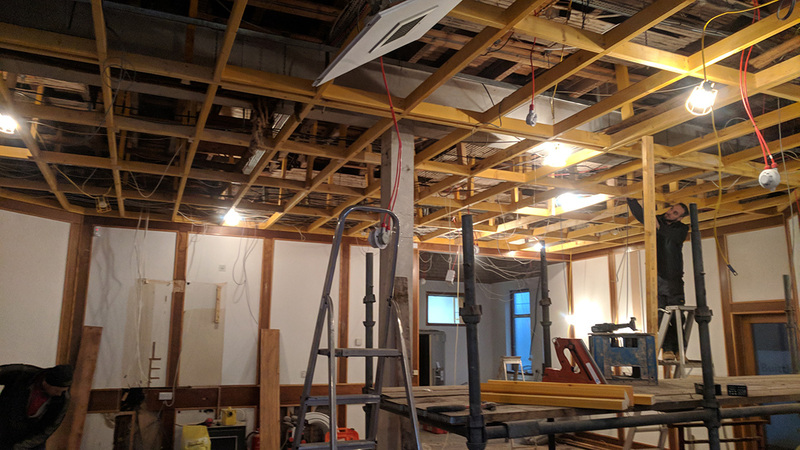 Our next mission the above us, A modern suspended ceiling now hung down and we had hoped to reveal some features like ceiling roses and architraves. 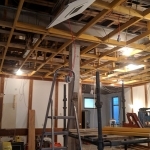 Unfortunately, this is where our luck ran out. 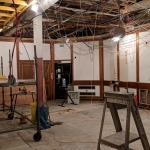 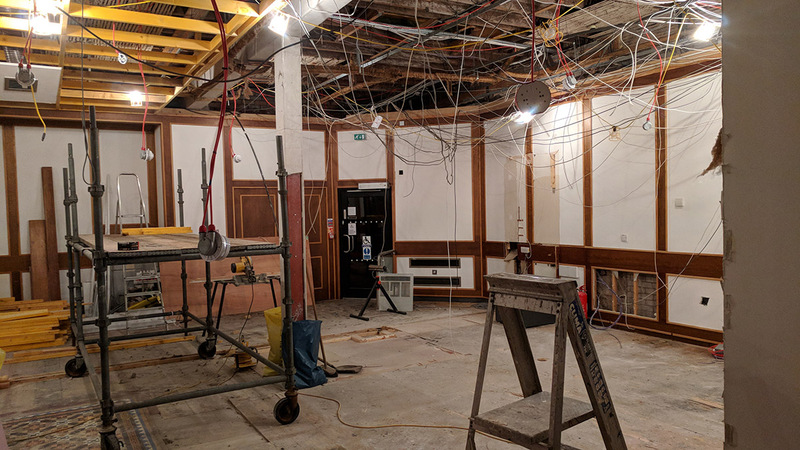 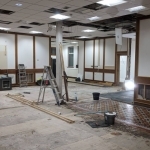 The entire ceiling had been ripped out in the 1980’s to make way for all the modern cabling required by the bank and after a painful discussion with the building inspectors it was decided to replace the modern hung ceiling with a far more robust fire proofed modern option. 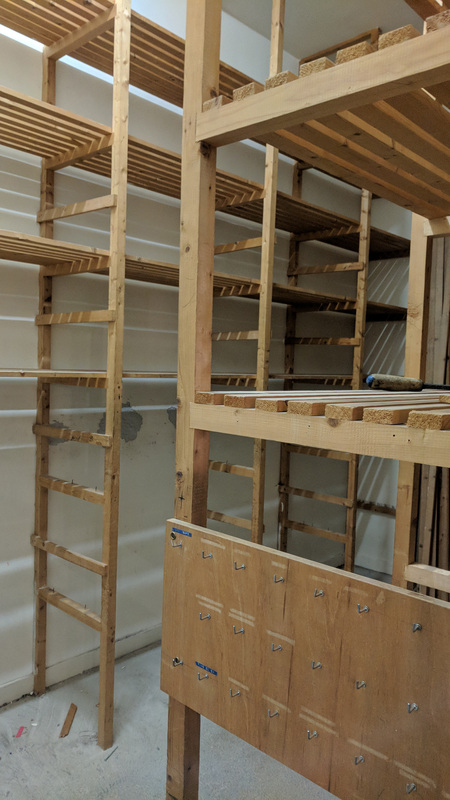 Some you win…. 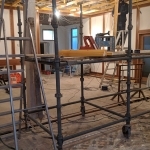 After that we started on the bay windows. 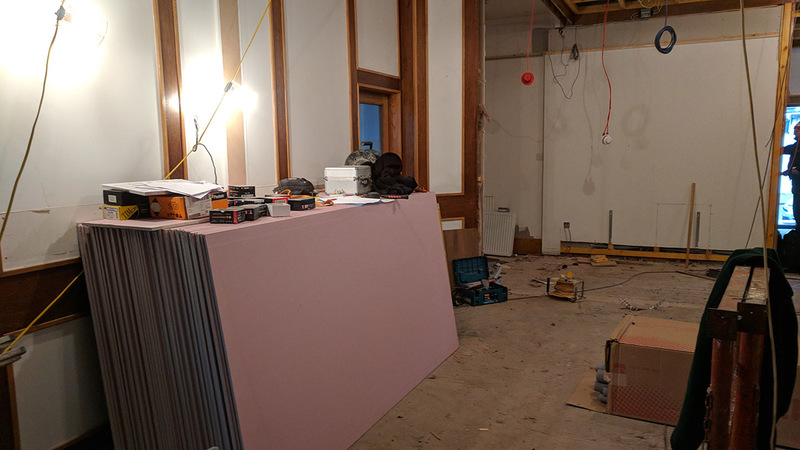 Our original plan had been to keep the 1980’s style worktop to use as a bar space but after deciding we wanted the space for tables we started slowly breaking this down to potentially re-use at a future date. 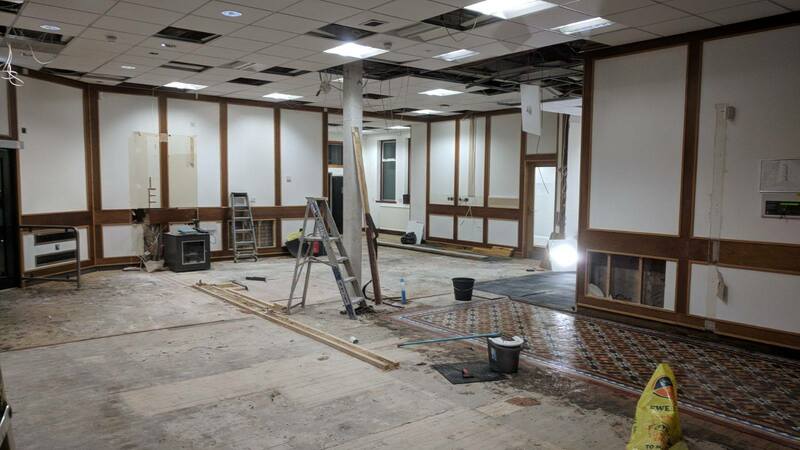 We hit gold again and have uncovered the original window shutters and panelling. 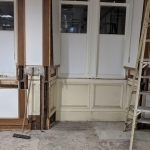 Although they will need a lot of love to bring them back to their glory we hope over time that we can get the heavily painted shutters working once more. 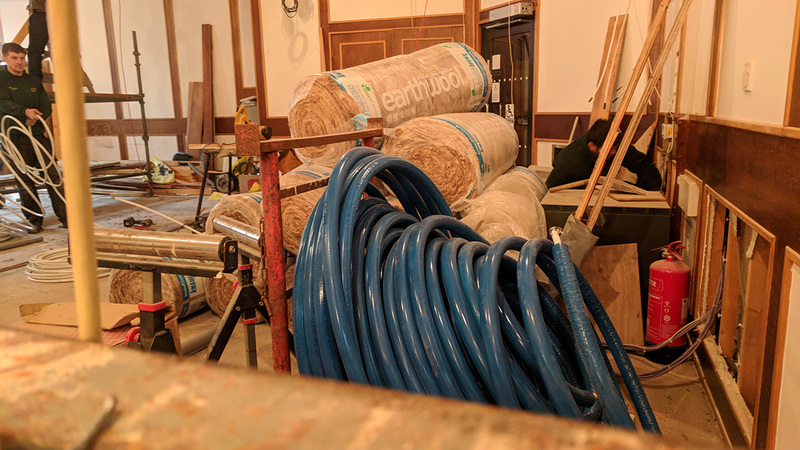 So far these have been our major finds. 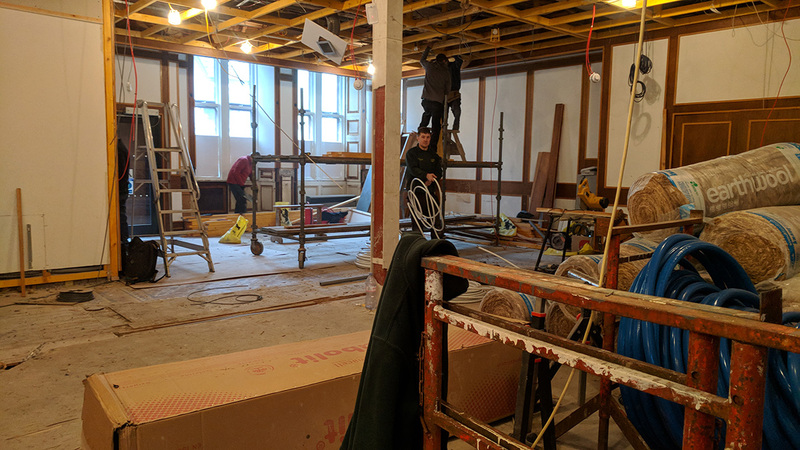 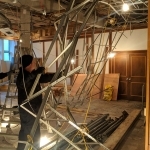 The bank will retain some of it first build glory, a good splash of it 1980’s refit and all the extra touches we have planned to turn it back into a space we think you will really enjoy. 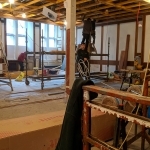 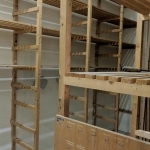 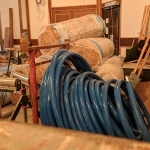 The Joiners, sparkies and plumbers are hard at work, we look forward to spring when we can open the doors.